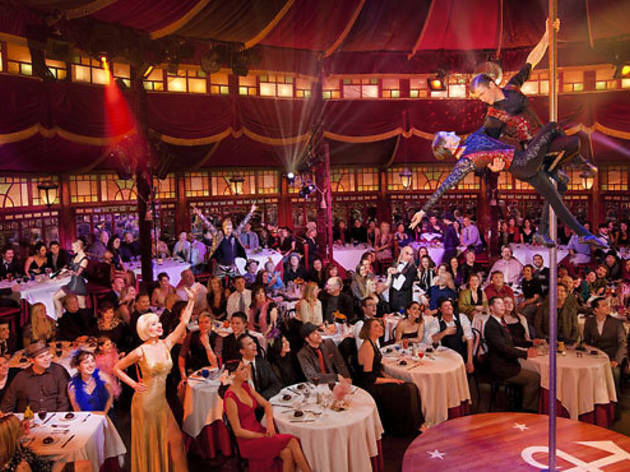 What do you get when you mix an international circus with comedy, cabaret and dinner, all set in a century-old Belgian Spiegeltent (a large tent bedecked in mirrors and stained glass) in Orange County? 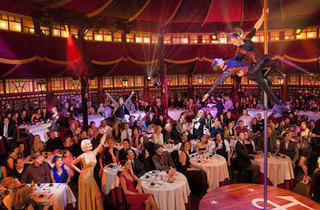 Teatro ZinZanni arrives in Southern California at Costa Mesa's Segerstrom Center with a European-style dinner theater. The show includes a five-course feast from the Patina Group to accompany the live entertainment. Catch the performance in town before it makes its way back to San Francisco, where its original 15-month run turned into an 11-year tenure.